Firefighters are battling to contain a raging wildfire just outside Boulder, Colorado which has already forced the evacuation of more than 1,000 homes. 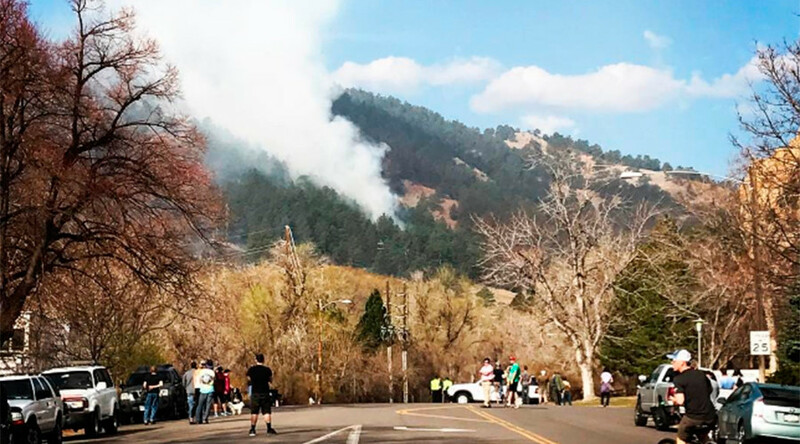 The fire broke out overnight and quickly expanded to cover 62 acres, according to the Boulder Office of Emergency Management (OEM). The blaze lies just west of the city of Boulder. Authorities are struggling to contain the fire and the Denver Post reports that the flames is moving in a southerly direction towards downtown Boulder. A further 3,700 homes have been placed on evacuation notice and people have been told to prepare to leave. Large and small animals are also being evacuated to sites away from the path of the wildfire. High temperatures, low humidity, and a significant breeze mean conditions are perfect for the fire to spread. It’s not clear yet what sparked the fire. Multiple fire agencies are responding to the blaze and numerous roads have been closed as a result of the fire. There have been no reports yet of damage to homes or other buildings.